It was only a few months ago that Qualcomm announced the Snapdragon 630 and 660 system-on-a-chip (SoC) designs. If you're not familiar with the company's large SoC lineup, the 6xx series is roughly mid-range, used by phones like the Moto G5 and Moto X4. Now the company has announced yet another chip in the series, the Snapdragon 636. You can read the full laundry list of features here. If you don't know what any of that means, the important bits include the above-mentioned 40% speed boost, support for FHD 18:9 screens, improvements to image processing, and a 10% increase in gaming performance over the 630 thanks to a new Adreno GPU. Qualcomm says that the SD636 uses the same pin layout as the 660 and 630, so OEMs can use the new chip without any major design changes. The company expects to start shipping the 636 in November of this year, so we should start seeing phones with it in late 2017/early 2018. 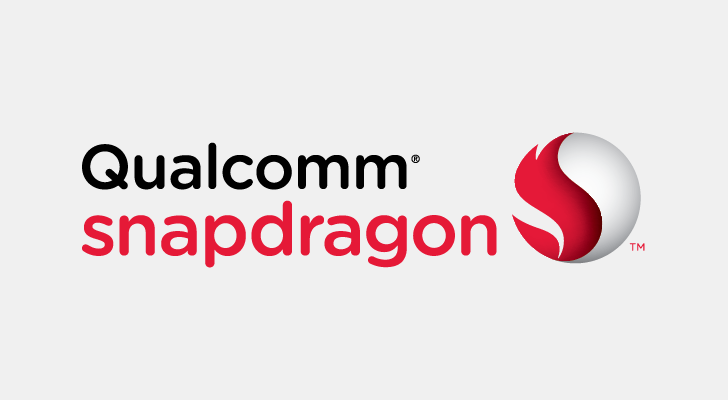 Qualcomm Incorporated (NASDAQ:QCOM) announced that its subsidiary, Qualcomm Technologies, Inc., has introduced a new mobile platform, the Qualcomm® Snapdragon™ 636, designed to provide improvements to device performance, enhanced gaming and display technology support in comparison to the Snapdragon 630 Mobile Platform. The Snapdragon 636 continues to build out the strong portfolio in Qualcomm Technologies’ high performance tier of Snapdragon mobile platforms serving users who demand high quality devices with top-level features at a low price point. The Snapdragon 636 features the Qualcomm® Kryo™ 260 CPU, which delivers a 40 percent increase in device performance over the Snapdragon 630. The Snapdragon 636 also comes with support for modern ultra-wide FHD+ displays and Assertive Display, which optimizes the visibility of the display in all lighting conditions. Qualcomm® TruPalette™ and Qualcomm® EcoPix™ features are integrated in the Adreno Visual Processing Subsystem to support superior viewing experiences. Lastly, the integrated Qualcomm® Adreno™ 509 GPU is designed to boost gaming and browsing performance by 10 percent as compared to the previous generation, supporting an unprecedented gaming experience with lifelike visuals and efficient rendering of advanced 3D graphics. The Snapdragon 636 Mobile Platform uses a 14nm FinFet process and is pin and software-compatible with the Snapdragon 660 and 630 Mobile Platforms, allowing original equipment manufacturers (OEMs) already using these platforms to quickly and efficiently add Snapdragon 636 to their device lineups. It features the advanced and globally tested Snapdragon X12 LTE modem, with peak download speeds of 600 Mbps that enables operators to provide blazing fast download speeds to consumers; the 14-bit Qualcomm Spectra™ 160 ISP, which supports capture of up to 24 megapixels with zero shutter lag while supporting smooth zoom, fast autofocus and true-to-life colors for outstanding image quality; and the Qualcomm Aqstic™ audio codec supports Hi-Fi audio on the go, with up to 192kHz/24bit support and the ability to playback lossless audio files with low distortion and high dynamic range. Qualcomm's technologies powered the smartphone revolution and connected billions of people. We pioneered 3G and 4G – and now we are leading the way to 5G and a new era of intelligent, connected devices. Our products are revolutionizing industries, including automotive, computing, IoT, healthcare and data center, and are allowing millions of devices to connect with each other in ways never imagined. Qualcomm Incorporated includes our licensing business, QTL, and the vast majority of our patent portfolio. Qualcomm Technologies, Inc., a subsidiary of Qualcomm Incorporated, operates, along with its subsidiaries, all of our engineering, research and development functions, and all of our products and services businesses, including, our QCT semiconductor business. For more information, visit Qualcomm’s website, OnQ blog, Twitter and Facebook pages.